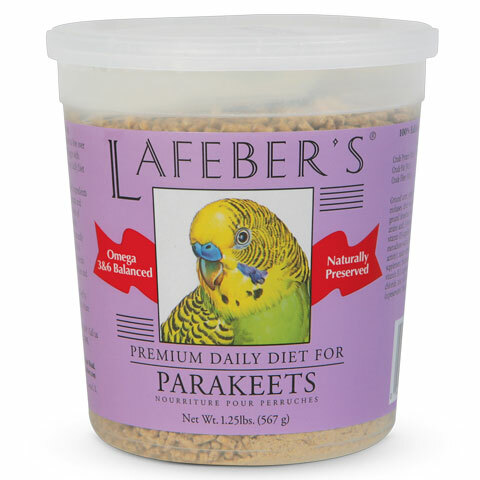 Pet-Bird Products - Lafeber International Ltd.
Lafeber Company uses only the finest natural ingredients in every product. All grains, fruits and vegetables are hand inspected, and some of the grains are literally grown right outside of our front door on Lafeber family farmland. 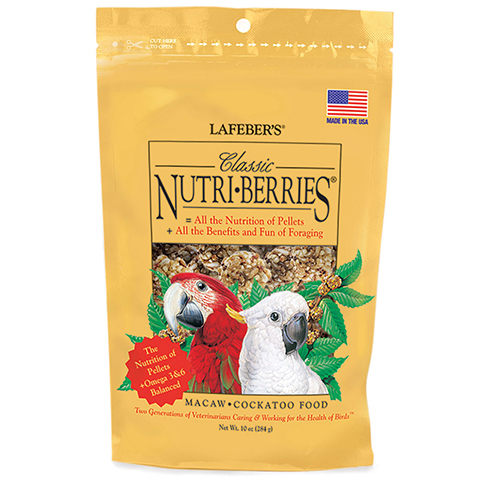 All Lafeber products are mixed, formed, and packaged under one roof with equipment specifically designed for small batches of food. Carefully watching our production process from start to finish allows us to maintain our high quality standards. The products featured below are our best sellers. For a complete product list, please visit our online shop. 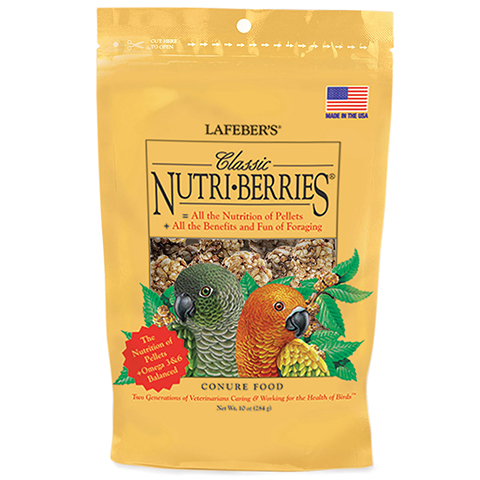 Nutri-Berries are nutritionally complete like pellets but not ground up. 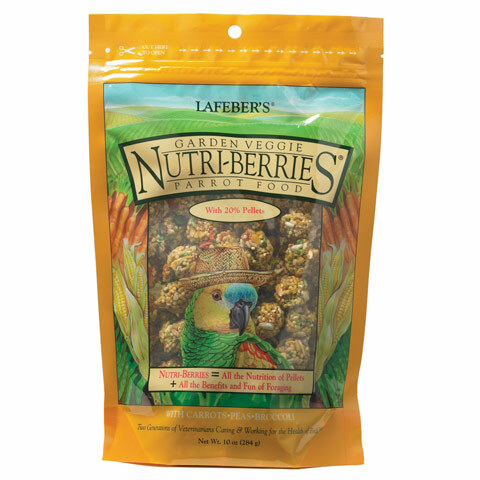 Both pellets and Nutri-Berries contain seeds and grains. Pellets are created by grinding seeds and grains. 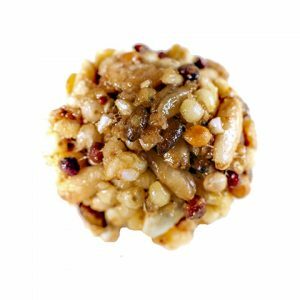 Vitamins, minerals, and amino acids are then added to create a nutritionally balanced mixture that is pressed into a homogeneous “pellet” shape. 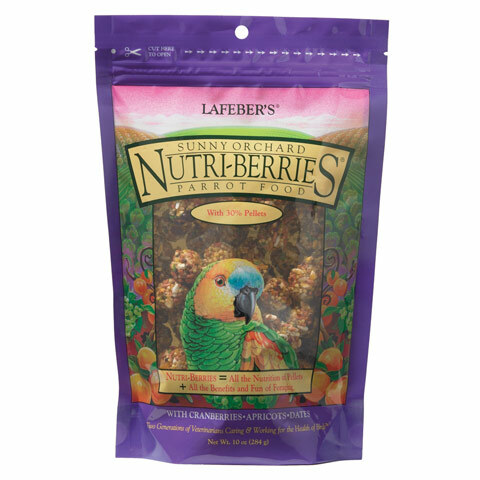 Nutri-Berries are a mixture of whole grains and hulled seeds blended with pellets and are coated amino acids, stabilized vitamins, and chelated minerals. This process keeps the nutrition right where it belongs — in each and every bite. They are also omega 3:6 balanced and naturally preserved. 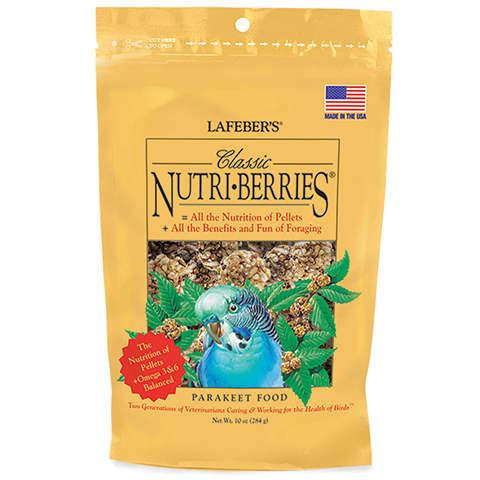 Furthermore, as an ideal foraging food, Nutri-Berries are full of textures and shapes that promote beak and foot play. 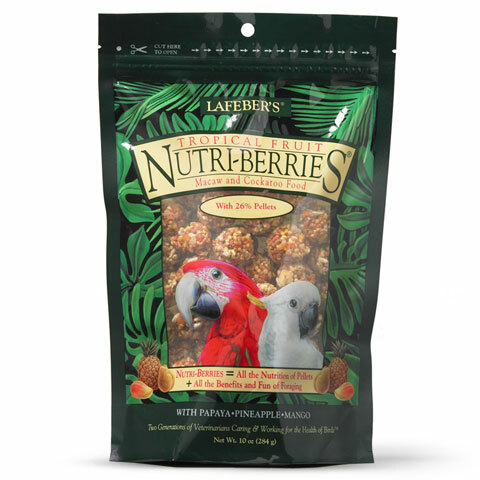 To the surprise and delight of many pet lovers, Gourmet Nutri-Berries contain many of the same quality ingredients you find in the grocery store; succulent pineapple and papaya, sweet carrots, plump raisins and hot bell peppers, just to name a few. Each of the four Gourmet Nutri-Berries varieties — Tropical Fruit (pictured right), Sunny Orchard, Garden Veggie and El Paso — is free of artificial colors and naturally preserved. 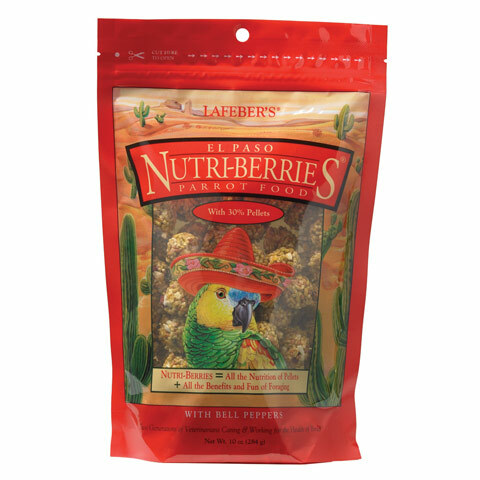 Gourmet Nutri-Berries offer the solid nutrition of Classic Nutri-Berries plus the taste and texture of real fruits, vegetables and other flavorful ingredients. 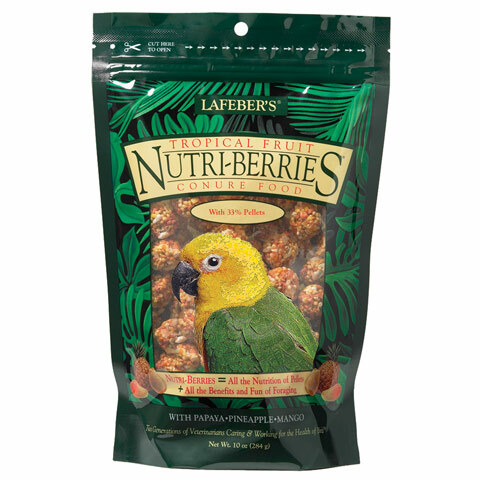 Gourmet Nutri-Berries are the result of close collaboration with top avian nutritionists, veterinarians and behavioral consultants to create recipes that meet the nutritional demands of birds, as well as cater to their foraging instincts. 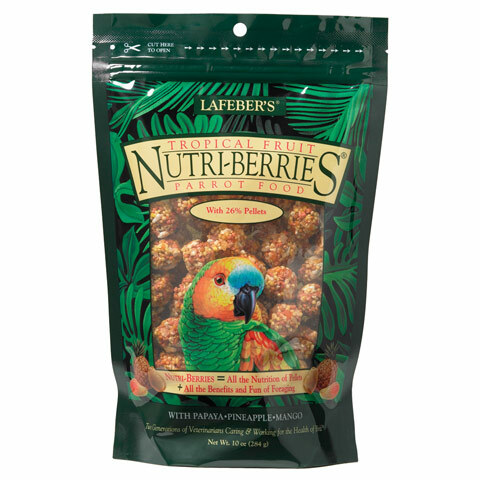 Like a pelleted diet, Gourmet Nutri-Berries are a nutritionally complete food. 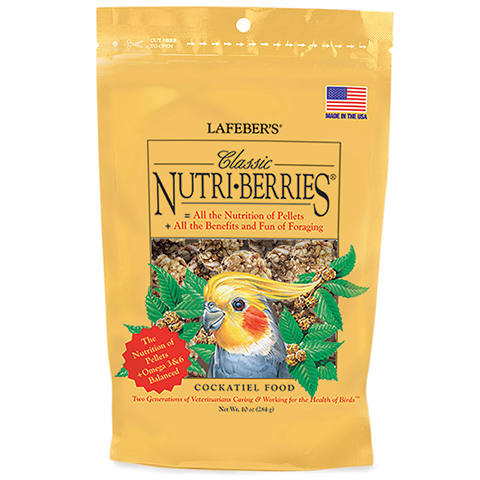 Unlike pellets, in which all the ingredients are ground down and formed into a pellet, the ingredients in Nutri-Berries are left mostly whole and rolled into a berry shape to offer a variety of beak and tongue sensations. They are designed to be held and pulled apart, not simply picked through like a seed mix or crumbled up in the food bowl like pellets. 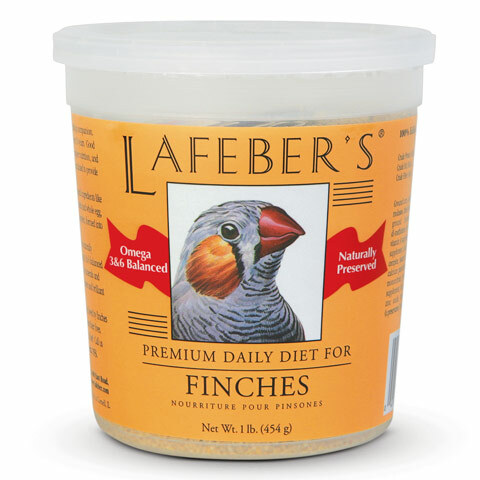 The Lafeber difference is in the hulling. 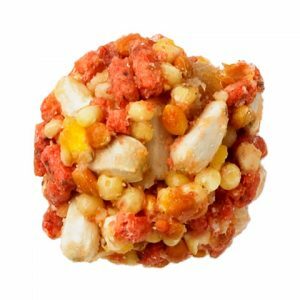 We hull the seed and grains and then add essential vitamins and minerals so your bird gets balanced nutrition in each bite. A seed mix might be coated with vitamin and minerals, but as soon as the bird cracks the seed, the nutrition is lost along with the empty seed hull. 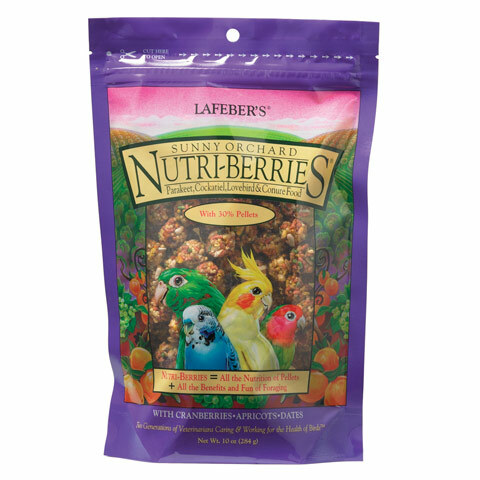 Gourmet Nutri-Berries are also Omega 3 & 6 Balanced, which boosts immune function and improves the quality of the skin and feathers. 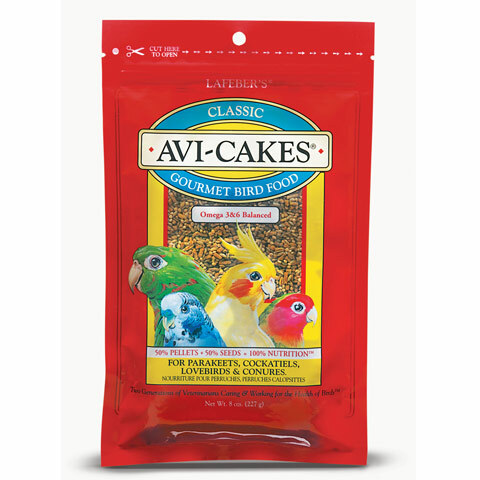 Avi-Cakes blend 50-percent premium seeds with 50-percent nutritionally balanced pellets, all held together with a great-tasting molasses binder. 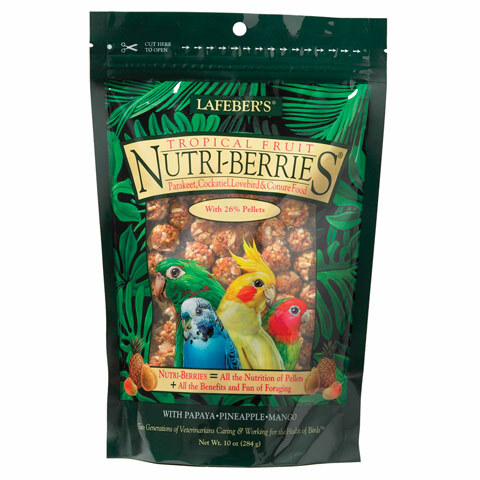 Its square shape is the perfect “work-and-chew-food” for your parrot to hold, pull, twist and crunch to bring out his foraging instincts. 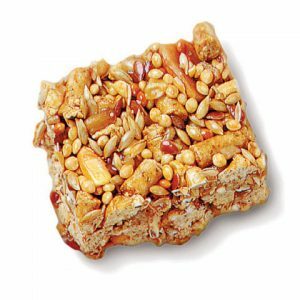 Your bird might pick and choose his way through a loose seed mix, but he’ll tear into Avi-Cakes and consume better nutrition along the way. 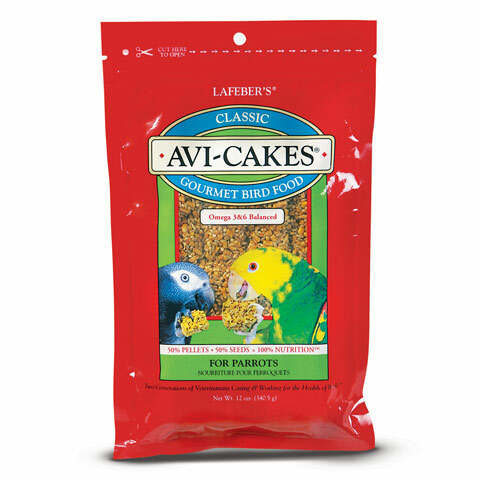 Avi-Cake nutrition matches that of most pelleted diets and can be fed as a main meal. 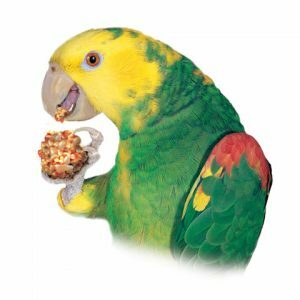 It is also an ideal “bridge” food to wean your parrot off of seeds and onto pellets, as many parrots start to eat pellets after eating Avi-Cakes. 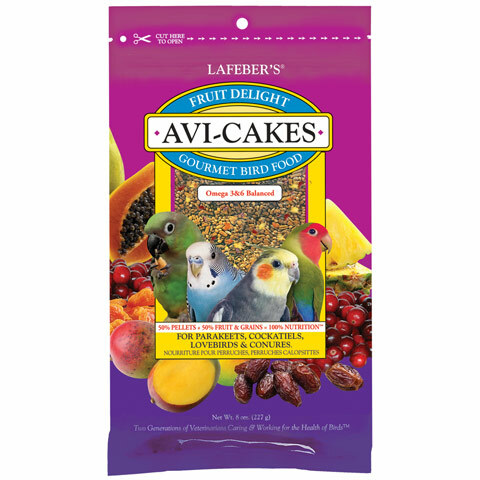 Fruit Delight Avi-Cakes includes real pieces of cranberries, dates, mango, papaya and pineapple and wholesome grains, as well as 50% pellets. 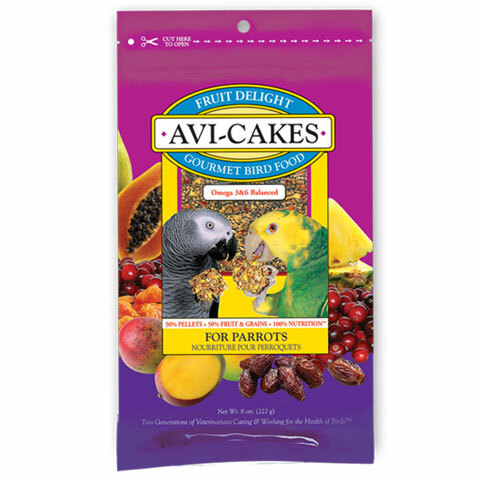 Fruit Delight Avi-Cakes’ nutrition matches that of most pelleted diets, so it can be fed as a main meal. 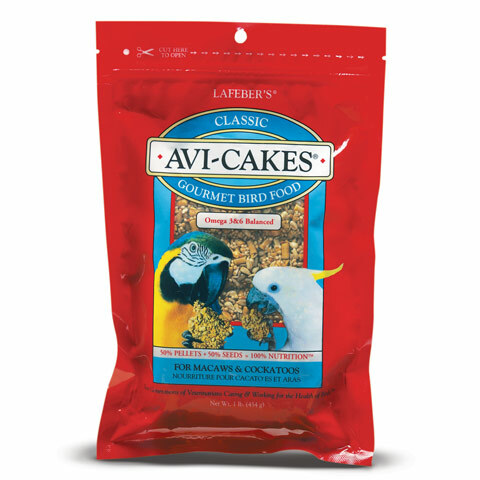 As the classic Avi-Cakes, it also makes the perfect “bridge” food to wean your bird off of seeds and onto pellets; many birds will eat pellets after eating Fruit Delight Avi-Cakes. 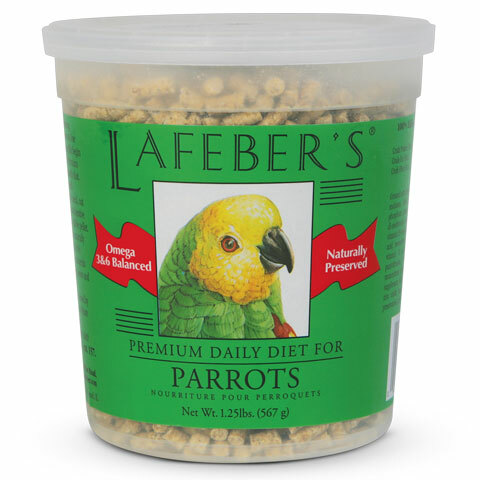 Lafeber’s pellets are the only real pelleted food found in pet stores. Most of the other “pellets” are actually extruded diets. 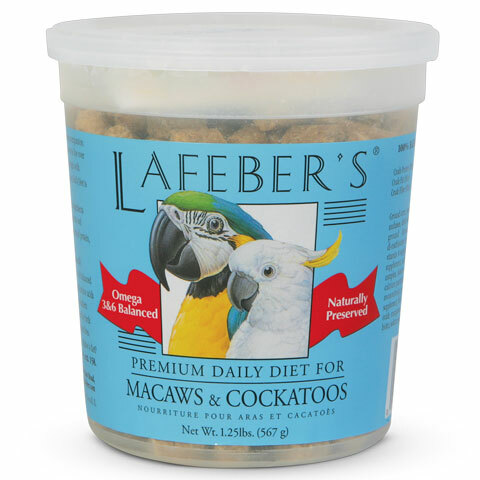 Lafeber prefers to pellet because a higher-quality product is achieved. Pelleting is a gentler food process as compared to extrusion. Pellets reach a temperature of around 165 degrees when formed and are then cooled. Because extrusion generally requires 100% gelatinization of the starches (the starches melt), the food is generally heated to 250-275 degrees under high pressure 300-600 psig when formed, and then must be cooked for approximately 20 minutes. Because of the extrusion processing, extruded foods generally need to be supplemented an extra 20-30% due to a nutrient loss as compared to only a 10% loss during pelleting. 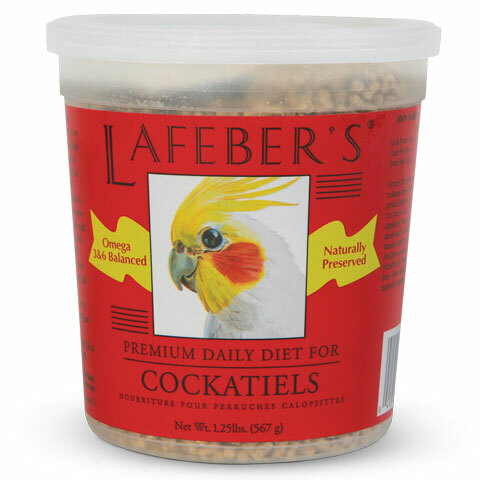 Since our pellets offer nutrition in every bite, pellets can be a full diet or an important part of your bird’s diet. 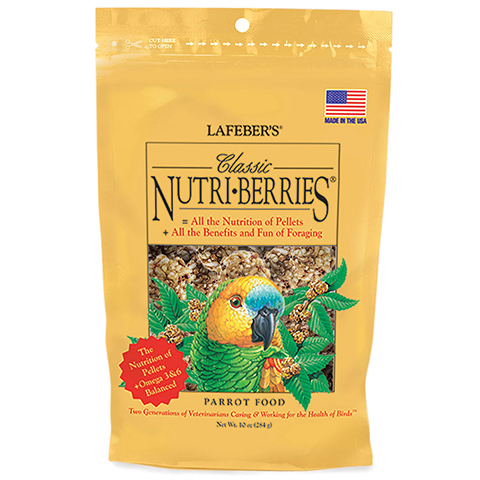 Many owners have found their birds love a combination of foods with their pellets, such as Lafeber’s Nutri-Berries and Avi-Cakes, as well as a variety of fresh fruits and vegetables.